Gypsy Broadway Musical – The Answer To King Lear! The famous striptease artist of yesteryears will come to life onstage with Gypsy Broadway musical! Call it tragedy or call it a life resigned to fate, the story of Gypsy Rose Lee has been transformed into a terrific show that reveals the secret behind Lee becoming a striptease performer; something that hardly anyone knows! Since 1957, this secret was buried in the form of memoirs. In 1959, the musical was first produced on the basis of these memoirs and it made Gypsy Rose Lee a household name. People began sympathizing with her, when they came to know the truth about her choice of career. A movie version of this show was made in 1962. 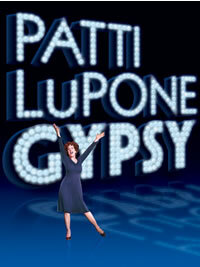 Thanks to The Routh Frankel Baruch Viertel Group as well as Roger Berlind, “Gypsy” has come back to Broadway in 2008. And this time, we have Patti Lupone, Boyd Gaines, and Laura Benanti stealing the hearts of audience with their splendid portrayal of characters. There is Mama Rose in the story, played by Lupone, who has big dreams for her two daughters named June and Louise. The name of Mama Rose has personified as “the ultimate show business mother.” You’ll also see a character called Herbie, played by Gaines, who is the stage manager of their shows. June and Louise desperately want their mother to settle with this stage manager. On the other hand, their mama wants them to become successful on stage. All hell breaks loose when one of their shows is mistakenly shown at Burlesque House. It’s here that fate takes a twist. June backs out from the show. Thus, Louise grabs all the attention. Circumstances compel her to become striptease artist. Her mother is horrified to learn this; she never wanted her child to achieve stardom in this manner! When you listen to the songs like "Everything’s Coming up Roses," "You'll Never Get Away from Me," "Small World," and "Let Me Entertain You," you’ll feel a surge of emotions! Gypsy Broadway show is not just a stage show, it’s a revelation of how, at times, people have to choose paths they never thought of treading in their wildest dreams. It’s a story of the struggles of a mother, who wants her children to have the best in life. It’s a tale that depicts the clash of dreams with reality. The musical has accomplished the wondrous feat of being called one of the greatest achievements of mid 20th century’s traditional music theatre art form. This form is called “Book Musical.” Critics and writers are so impressed by this musical that they have stated it to be one of the greatest musicals in the history of America! You must not miss such a record-breaking show! It would be untrendy to not be a part of America’s biggest musicals being staged in theatre. This is no time to think. You’ve an effortless option to book tickets by dialing a number of ticketing services. Use this facility and take your family to attend a sensational performance. One thing’s certain – you’ll love Gypsy Broadway performances!